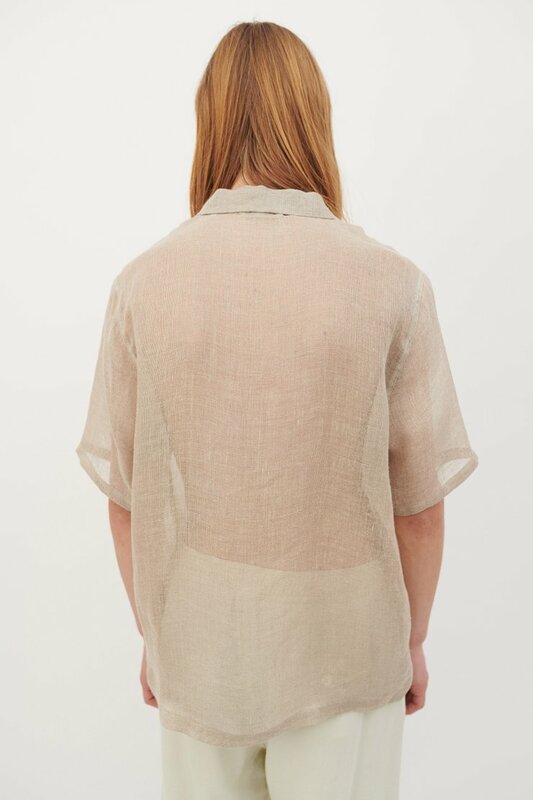 Our Box Shirt Short Sleeve in Silver Net. 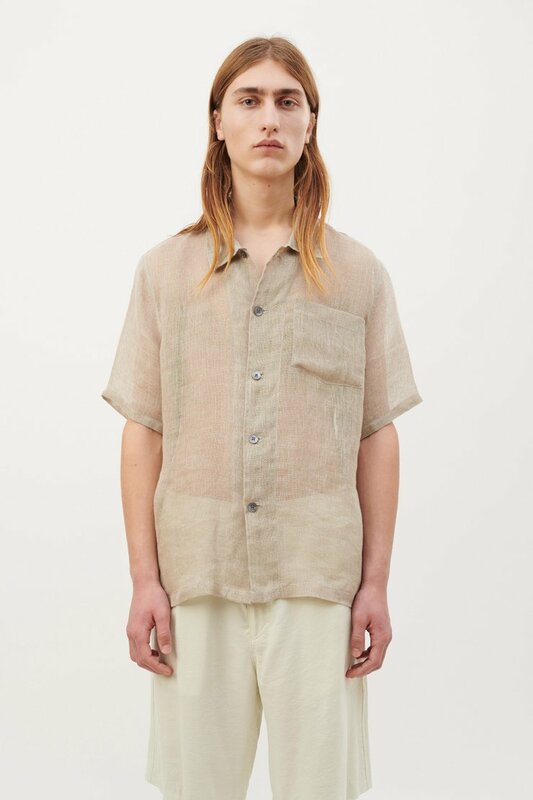 Produced in a delicate linen fabric, this boxy fitting shirt has a single chest pocket, large mother of pearl buttons and a straight hem. The fabric is inspired by agricultural pest control nets and the yarn used is made with a minimal amount of treatment and dyeing. 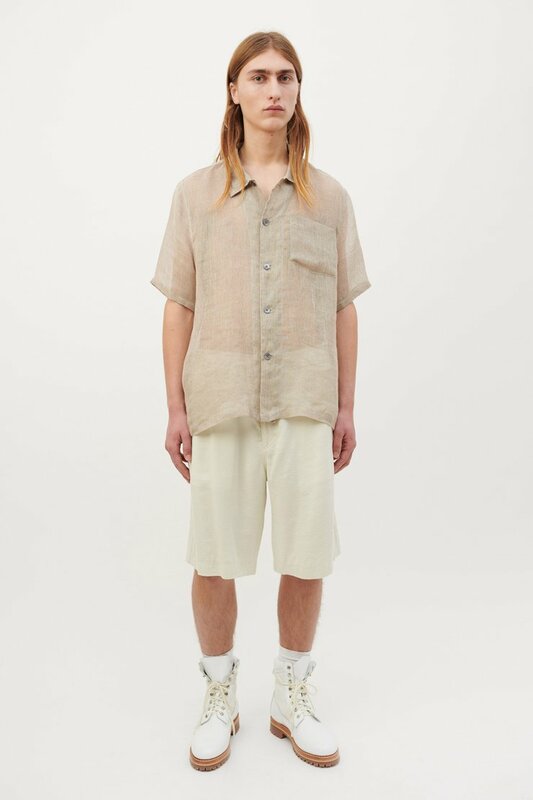 Our Box Shirt Short Sleeve is true to size with a boxy fit. The model is 187 cm tall and is wearing a size M/48.